The team at Victor Nelson Cycles are passionate about cycling. 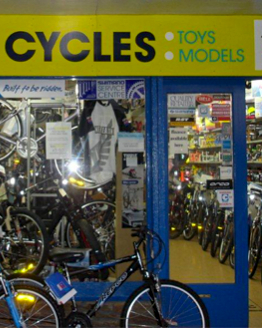 A family business since 1947, we can advise you on the best products for you and your bike. 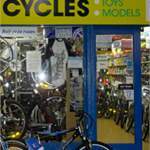 Our bike shop is a great place to find the bikes and parts you need. We are familiar with the capabilities of all our bikes and know exactly what will work best for you. Our selection includes everything from high performance mountain bikes, BMX bikes, comfortable leisure bikes and bikes for little beginners. We have a great range of accessories to dress you & your bike up. You'll find plenty of ways to express yourself and increase functionality. Find things that sparkle and excite kids, smart accessories for refined riders; great accessories for dressing up leisure bikes and the coolest accessories for BMX bikes. We know you love your bike and our bike shop is a great place to come for bike repairs. We take expert care of every bike, and with our own fully certified Shimano mechanic on-site, we have all the skills and equipment needed to do the job right. Your bike will be in capable and professional hands when you bring it to us.